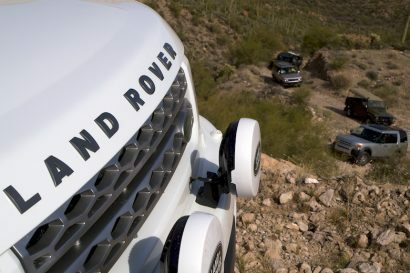 Picture yourself parked on a remote beach somewhere south of the border. Your chilled cerveza slowly drips condensation on your hand, the palms trees rustle gently in the breeze, and the rolling of the waves lulls you to sleep under the cool shade of your awning. Sounds pretty good right? We sure thought so, which is why we decided to review one during the fall season. Unfortunately, it turns out that drinking beer and enjoying afternoon siestas are considered “lacking” as an equipment test under company standards. and we would have to devise an alternate method of testing. There was also something mentioned about appropriate use of time and funding, but it probably wasn’t important. What is important, is that we’re not going to waste your time reviewing an awning based solely on its ability to provide shade. Doing so would be the equivalent of evaluating water on its ability to get you wet, and we feel that’s pretty pointless. Instead, we’d like to look at our experience with this product, and give you a simple honest opinion of what we loved, and what we didn’t. 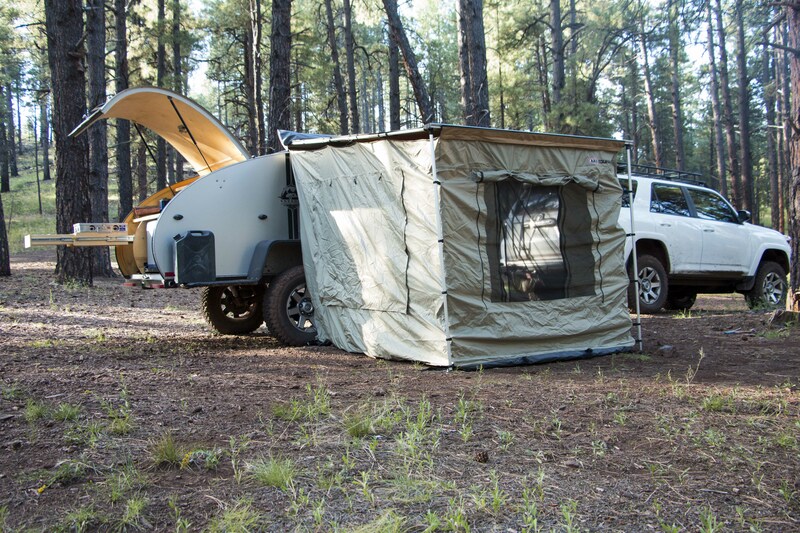 The search began with a desire to fit our So-Cal teardrop with some additional functionality and living space. 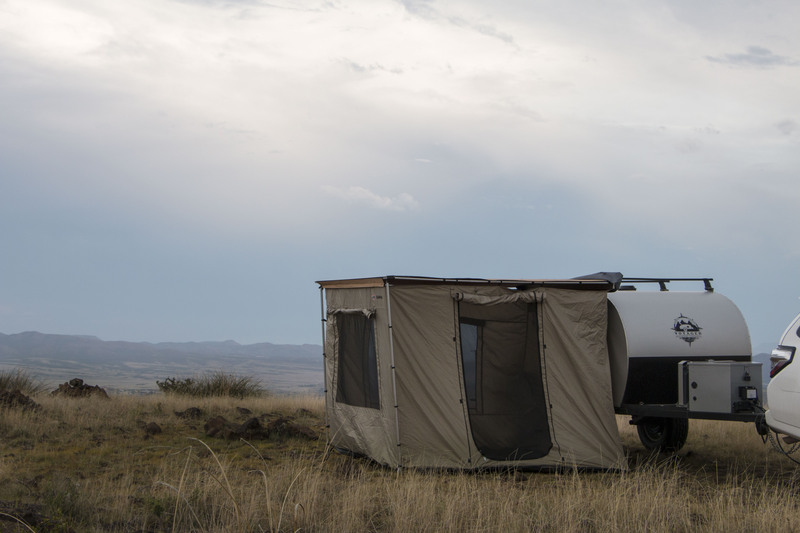 We considered a lot of products from various manufacturers, but eventually the optional enclosed room and low price point of the ARB 2000 Series caught our eyes. 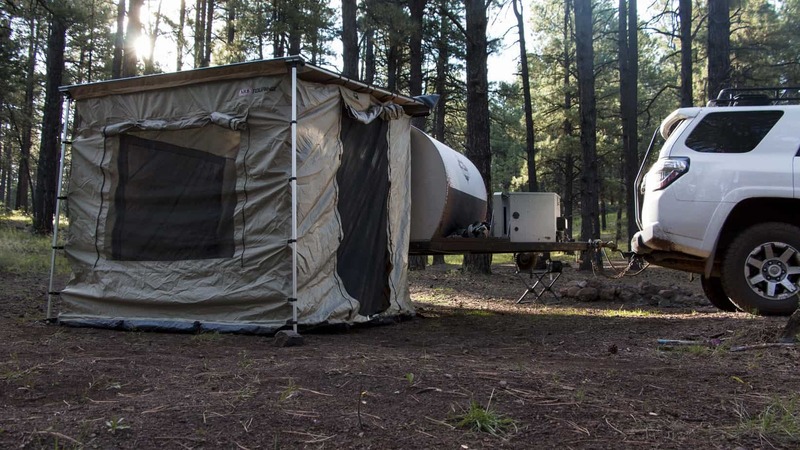 At just $287 for the awning, and $174 for the room, we had some concerns about quality; but ARB had never led us astray before so we gave it a shot. A week after placing the order, a well sealed box arrived at the office with our brand new accessory inside. Many companies miss the mark on this critical first step, but ARB clearly has packaging down and everything arrived unharmed. 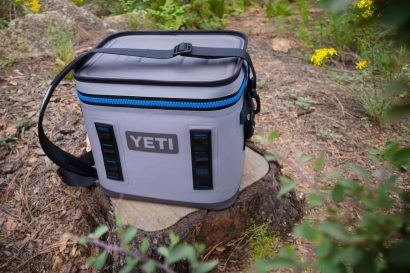 The grey cover is made from a waterproof nylon fabric which is interwoven with pvc for reinforcement. It feels heavy and durable, and will probably hold up to many seasons of weathering before finally giving out. Despite it’s apparent toughness, tears happen and we would have preferred to see removable hardware like screws or slides attaching the fabric to the frame, rather than the more permanent rivets. They did hit the mark on the zipper though, and chose one stout enough to endure repeated use in dust and mud without clogging. After several trips it still runs smoothly up and down the teeth, and we feel that with careful use and occasional cleaning it will survive as long as the cover. 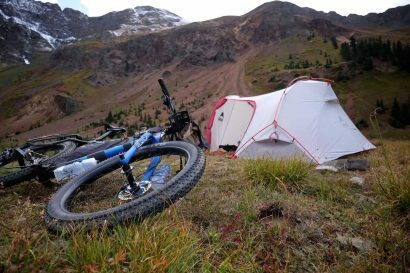 One of our biggest concerns with large camping equipment is usually setup time. Regardless of how great a product is, if it is difficult to deploy we find that people generally won’t use it. 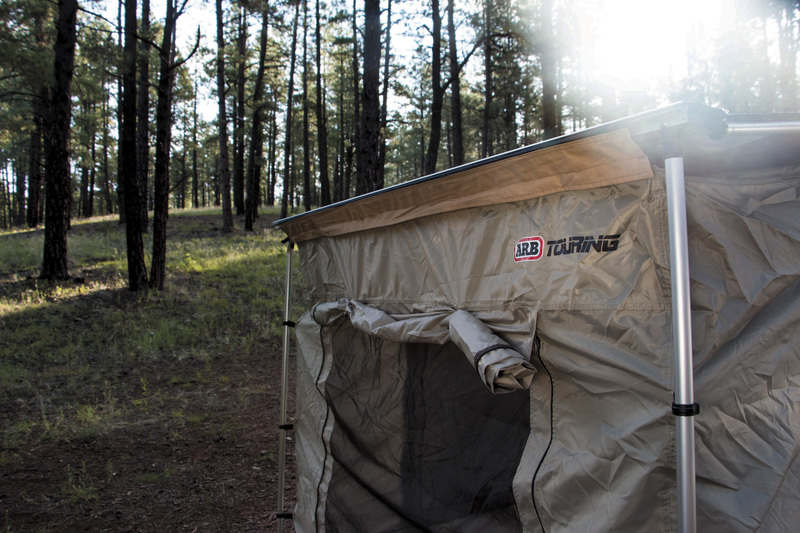 We’re happy to report that the ARB is easy to extend with one person, and a breeze to use with two. 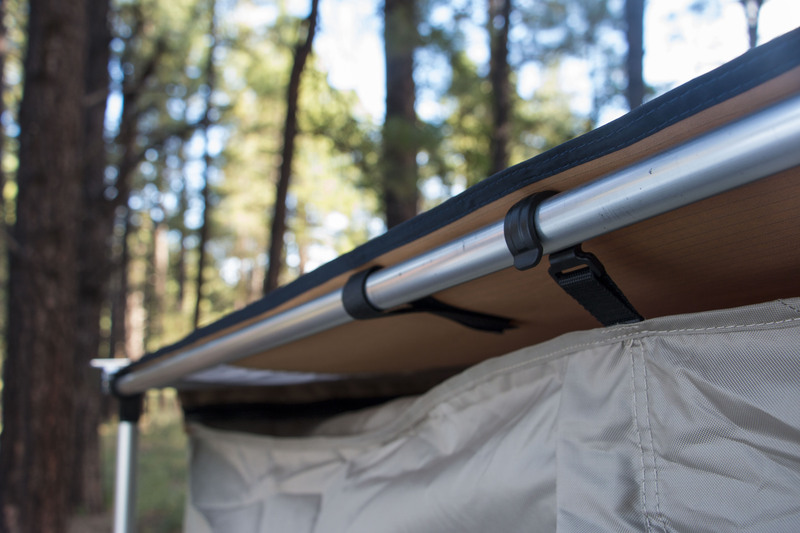 The three step process involves sliding the lateral poles out, unraveling the awning, and dropping the vertical supports before tightening the assembly. When it is all said and done, it takes a mere 30 to 60 seconds to complete depending on wind conditions. The finished product is surprisingly stable, and even held up to the heavy rain and wind of an Arizona monsoon. 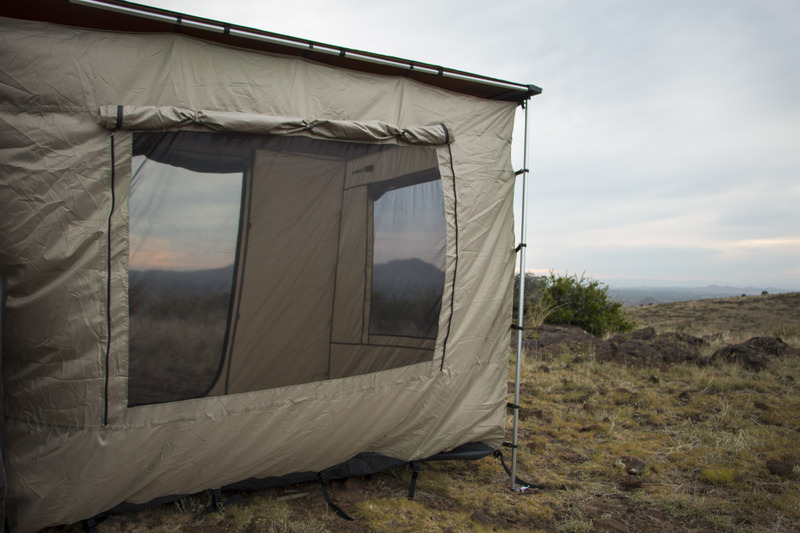 The awning itself is made from a thick UV resistant material which repels water, doesn’t fade, and cleans easily. The fabric has a hardy texture beneath your fingers, and we were impressed with its quality for the price. To test its weatherproofing, we leveled the awning and filled the center with a good size pool of water. We checked for leaks several times but the canvas held strong without any stretching or weeping. The simple color scheme of tan and grey was refreshing among recent trends of strange or dark colors. Not only does the tan look classic, but the lighter pallate helps to reflect the sun and dissipate heat under the awning. We know, it seems obvious, but we have used at least one competing product that actually made things beneath it hotter! It’s a clear indicator that some companies just don’t test their equipment, and we thank ARB for not being one of them. Our favorite part of this system though, and the main reason we purchased it, is the attachable room. Despite the comfort and space efficiency of our So-Cal trailer, it doesn’t provide a good area in which to stand or work. 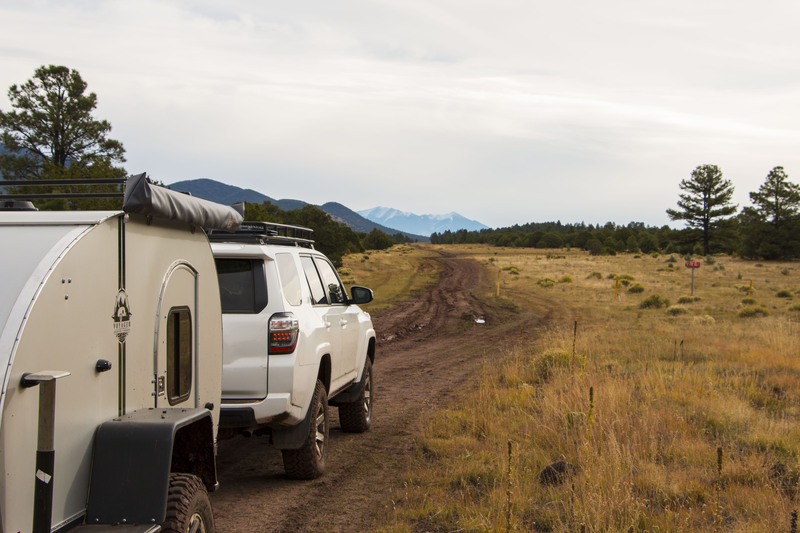 The awning room gives us a private space to setup a table, write, lay out a map, host other campers, or just relax and escape some bad weather. We chose this specific model because unlike most brands that only offer zip-on walls, ARB offers a fully enclosed floor. This keeps bugs, snakes, and other critters out, but more importantly for us, it helps keep our German Shepherd in. The dog is a notorious bed hog, and his ability to force a 245lb human unwillingly across the sheets and into a wall is remarkable. In order to get a good nights rest we needed to get him out of the trailer and into his own space. The floored room allowed us to do just that. Even with a table and chairs set up inside, the 2000 series has more square-footage than even he can take up. Like the awning, the changing room is easy to deploy when you know the correct order. We recommend watching one of the many demonstration videos online before your first attempt. From start to finish both the setup and breakdown take less than two minutes to complete with one person in bad conditions. 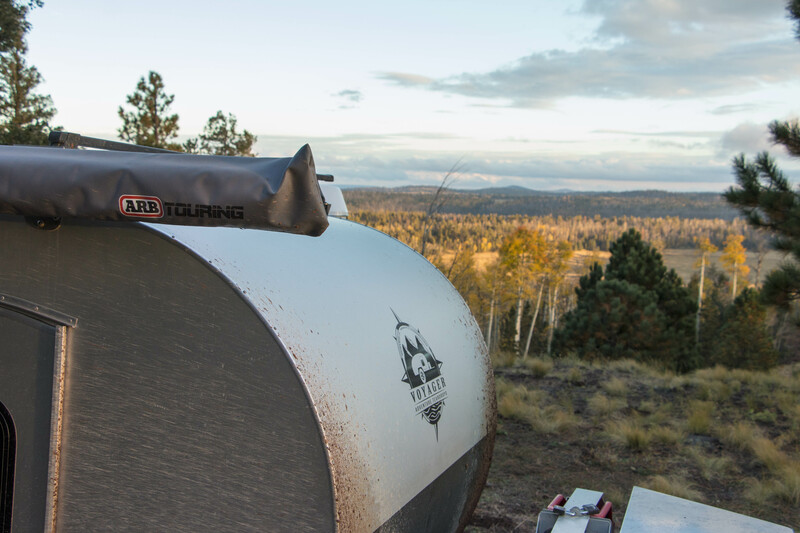 This is achieved by using a zipper on the front and rear of the awning to suspend the material and keep it straight, while a series of sturdy plastic clips pull it tight to the poles. The room features two screened in windows and doors which can be zipped shut for privacy, or left open for a bright and open feel on warm days. Unfortunately, I’d be lying if I said we were as impressed with the materials used to create the room as we were with the overall system. Don’t get me wrong, it was exactly what we had expected for the price, but after the surprisingly high quality of the awning, we were a little underwhelmed. The walls feel somewhat cheap and aren’t waterproof, and despite the floor being better, it makes the annoying crackling sound of a Wal-Mart tent whenever you walk on it. The good news is that because the awning covering the roof is waterproof, the room usually stays dry inside until a very heavy storm sets in. On a side note, we are fairly certain that a wizard packed this awning room into the bag, because magic is the only way it is going back inside after you take it out. Unless you really hate yourself or want to waste an hour stuffing fabric into a cheap sack, just have a large duffel bag ready to store this in. 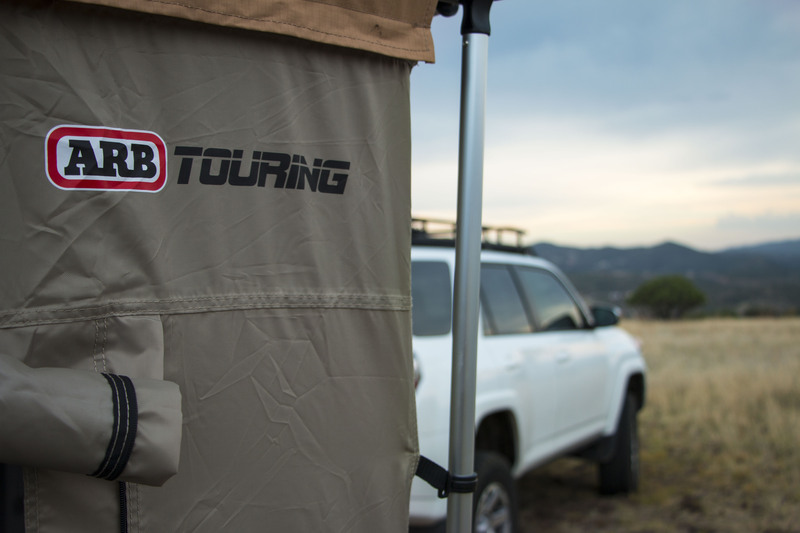 Overall the ARB 2000 Series awning is better than we could have hoped for. It provides all the living space we needed, and uses materials we would have expected from a product of a much higher price. It’s an unbeatable value that works perfectly as a changing space, an enclosed dog retreat, a room for campers, and yes even a shaded tiki bar.. We’re sure that we’ll be using ours for years to come, and look forward to telling stories of adventure from beneath its shade. For more information, check out the ARB website here.